The Apple Tree Cafe near Land’s End provides excellent local food for all diets, as well as selling fresh bread baked daily and changing exhibitions of local arts and crafts. It’s at Trevescan, just off the A30 before Land’s End in Sennen. The outdoor garden tables are ideal for after the beach, a walk, ride or yoga. boswedden.org.uk Boswedden House, Cape Cornwall, nr St Just is run by Nigel Nathan and Thelma Griffiths. With an indoor pool and meditation hall, it is a beautiful space to hold retreats or just stay for B & B.
yogawithruthwhite.com Ruth White Yoga Centre, situated in Oxfordshire. Residentials are held throughout the year, both in the UK and overseas. 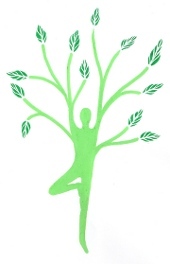 This website also gives full details for yoga teacher training. The Zed Shed in Penryn (Falmouth) offers numerous yoga classes and occasional inspiring workshops by experienced teachers. If you would like a handy reference to yoga postures to practice at home, one handy and recommended book is The Yoga Bible: The Definitive Guide to Yoga Postures by yoga teacher Christina Brown. The book offers over 170 photos of yoga asanas, with practical advice. www.vellandreathcornishcottages.com these beautiful cottages are a set in a stunning location in Sennen Cove. www.cornwallcottage.biz This stunning thatched cottage is a beautiful place to stay, with fantastic views over the Sennen beach, and Cape Cornwall. 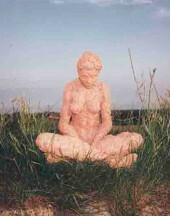 www.nevyogamassage.co.uk I highly recommend Neville Cregans classes, workshops and retreats. 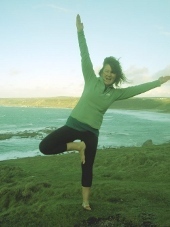 Mostly based in and around Totnes in South Devon, he also runs yoga holidays abroad. He also is an excellant Thai Yoga Massage Therapist.